Perfect location with the A I R P O R T. Its located at 3 Minutes from the International Airport. PICK UP: US$ 6. 00, which involves taking a taxi from outside the airport. If you would like Pay Purix to organize your transfer, we will need information on the exact arrival time of your flig. AIRPORT INTERNATIONAL LIMA. 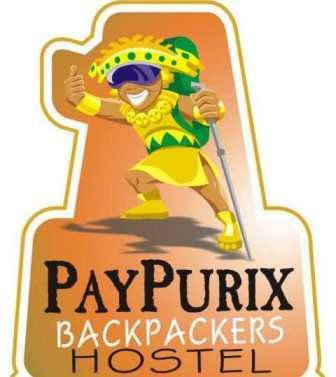 Welcome to PAY PURIX HOSTEL BACKPACKERS a friendly and comfortable place to make more enjoyable your stay. Our attention assures the tranquility, entertainment and security that you need. The hospitality and the personalized service are combined to make you feel like family. 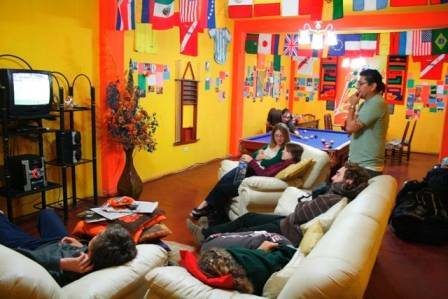 In our hostel we have a group of persons specialized in the treatment of travellers. We know what do you need because we also are adventurers; we realice a lot of trekking to the dessert, highlands and jungle. 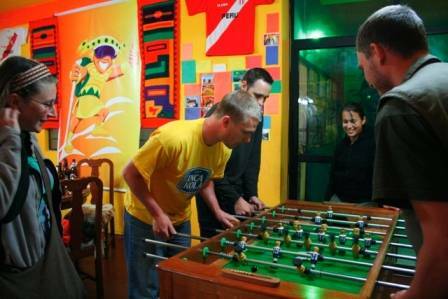 For that reason we created a nice and friendly hostel with an enjoyable atmosphere where you can make friends of different parts of the world, with the same motivation and with the eagerness to know Peru. Dont lose the opportunity of having a good time and have an entertaining travel at affordable prices. ROOMS, All the installations are new!. There are 30 wide, soft and comfortable beds, totally equipped, with comfortable pillows and bedspreads. For each guest we will assign a locker with a key where you can store your bags and luggage. All the rooms have a private bathroom with cold and hot water during the 24 hours of every day. The bathrooms are totally equipped (towels, toilet paper and soap). The rooms are cleaned daily and are fixed quickly by our capable personnel. SERVICES, The breakfast is included and it is served between 7. 30 a. m. and 10. 00 a. m. (Its our typical breakfast; we called it The Pay Purix breakfast). It is a nutritive meal, specifically oriented for trekkers. Cable televisión, DVD and movies. In the afternoon we offer free coffee and different varieties of teas. You can use the kitchen (totally equipped) at any time. Spacious hall and dining room. Free access to Internet. You can review your email, surf the internet and chat all the time you need. Wide Wireless Internet connection for laptop users. Many tourism magazines and books available for you. If you have some that you already read you may leave it for future travelers and take those that you want to read. Actually, all the magazines and books we have are gifts from other generous travelers. Adequate space for luggage. Tourism information of all peruvian regions: highlands, dessert, high and low jungle. 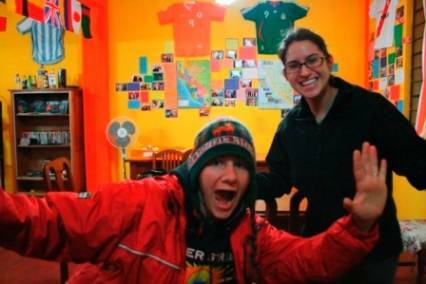 We have trekking experience to different zones of Peru. 2. 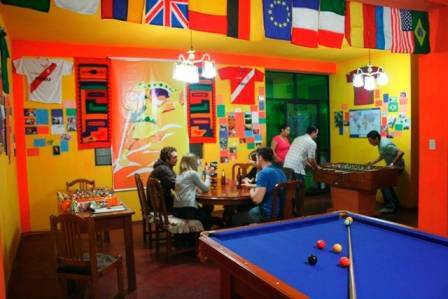 Pay Purix Backpackers Hostel, can also arrange the airport taxi for you for less. Approx. US$ 6. 00, which involves taking a taxi from outside the airport. If you would like Pay Purix to organize your transfer, we will need information on the exact arrival time of your flight and airline. We will await you at the airport with a sign that says "Pay Purix Hostel" along with your name. Any questions please just ask me, it is important for us that you are happy here. All the installations are new! ; There are 30 wide, soft and comfortable beds, totally equipped, with comfortable pillows and bedspreads; For each guest we will assign a locker with a key where you can store your bags and luggage; All the rooms have a private bathroom with cold and hot water during the 24 hours of every day; The bathrooms are totally equipped (towels, toilet paper and soap); The rooms are cleaned daily and are fixed quickly by our capable personnel. Lima (Entre Av. Japón y Av. Bocanegra) Detrás de Torres de Santa Rosa. Av. Japón con Av. Bocanegra - few blocks from Callao International Airport.